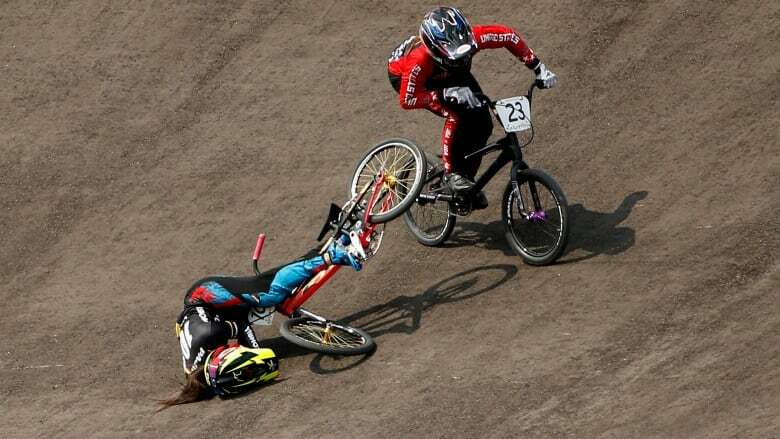 Reigning Olympic and Pan Am champion Mariana Pajon Londono, known as the Queen of BMX, fell during the women's final but still got up and finished the race. Mariana Pajon Londono, the reigning Olympic and Pan Am women's BMX champion, came into Toronto as the heavy favourite. The Colombian easily sailed through the early rounds and looked on track to win gold. However, by the end of the final there was a new Pan Am champion. Going into one of the turns, the Queen of BMX fell hard. EMS was called to the track, but she eventually got up and finished the race. Officially, Londono received a DNF. But she scores unofficial points for her grit.